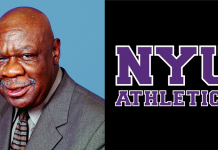 A recap of NYU Athletics from Nov. 25 - Dec. 2. Following an 11-point win over Smith College on Nov. 25, the NYU women’s basketball team faced off against Stevens Institute of Technology for their fourth game of the season. Nursing sophomore Katie Foos led the Violets with 15 points, shooting 5-for-10 from behind the arc. SPS senior Olivia Linebarger finished with six points and a team-high nine rebounds, but the Violets fell 13 points short, losing 60-47 to the Ducks. Three days later, the Violets looked to bounce back and hosted Westfield State in their home opener at the Sportsplex in Manhattan. 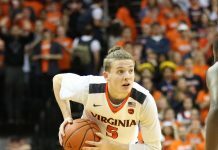 The Violets entered halftime up ten points, 43-33, and went on to win 79-74 to improve to 3-2 for the season. Foos led the Violets with a career-high 23 points and also added nine rebounds. SPS senior Olivia Linebarger finished with a double-double, tallying 12 points and 10 rebounds, while CAS first-year Bianca Notarainni contributed 11 points and nine rebounds. The Violets look to continue their winning streak when they resume action on today against Rutgers University in Newark. The NYU men’s basketball team looked to avenge its Nov. 24 loss to the College of Staten Island as it squared off against Rosemont College on Nov. 27 in Brooklyn. Going into halftime tied at 36, the Violets fell three points short to Rosemont 69-66. Leading the Violets was CAS junior Dom Cristiano, who finished with a team-high 23 points and also added six rebounds. CAS junior Cameron Moore added 11 points and seven rebounds, and CAS sophomore Bobby Hawkinson contributed 10 points and six rebounds. The men’s team played again this past Saturday, facing off against Alfred State at the Sportsplex in Manhattan. Trailing by three points at the half, the Violets were outscored 42-34 in the second half and lost the match 78-67, moving to 3-4 for the season. CAS junior Dom Cristiano led the Violets again, putting up a double-double with 25 points and 10 rebounds. SPS junior Jimmy Martinelli added 19 points, and CAS sophomore Bobby Hawkinson finished with 11 points, four rebounds and four assists. The Violets return to action on Thursday when they take on Albertus Magnus College in New Haven, Connecticut. Both the men’s and women’s swimming and diving teams competed at the Total Performance Invitational at Kenyon College from Nov. 29 to Dec. 1. The men finished third out of five teams with 1,963.5 points, behind Kenyon College and Carnegie Mellon University. NYU maintained third place throughout the weekend, failing to edge either Kenyon or CMU. Highlight performers for the weekend were Nursing first-year Cole Vertin with third place finishes in the one-meter and three-meter dive as well as Stern sophomore Elan Oumarov with a first place finish in the 200-yard butterfly and a fourth place finish in the 100-yard butterfly. The women had a bit more success, finishing second out of five teams with 2,180 points only behind Kenyon College. The Violets earned second place on day one and never let go of it. Highlight performers from the weekend include Stern junior Honore Collins (first in the 400-yard IM, first in the 200-yard butterfly and second in the 200-yard IM), CAS first-year Rachel Reistroffer (third in the 500-yard freestyle), Stern first-year Terra Matsushima (second in the 100-yard butterfly), CAS first-year Nina Fink (second in the three-meter dive and third in the one-meter dive) and CAS senior Kelly Ryser (second in the one-meter dive). NYU dominated the 1,650 yard-freestyle taking the top four spots. The Violets also performed well in multiple relays, taking third place in the 400-yard medley relay and second in the 800-yard freestyle. This invitational marked the first half of the swimming and diving season. Both teams return to the pool on Jan. 11 with the men taking on the United States Merchant Marine Academy and the women taking on LIU Post. 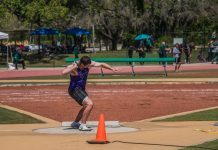 NYU scored 104 points en route to a fourth place finish among 15 teams at the Ted Reese Invitational on Dec. 1. CAS junior Jack La Corte was the star for the Violets, winning four matches (two by fall and two by decision) and taking the 197-pound title. Stern junior Sean Lyons (157 pounds) and CAS junior Jackson Kligerman (184 pounds) both finished with second place honors while CAS junior Dylan Dwyer and CAS first-year Izaake Zuckerman took third place honors. The Violets will return to the mat when they take on the United States Merchant Marine Academy on Dec. 9. NYU had three athletes named to the All-East Region Teams, announced on Nov. 27. CAS senior Maddie Peña was named to the First Team All-Region, while Tandon first-year Rachel O’Keefe and Stern junior Isabelle Turner were named to the Second Team All-Region. 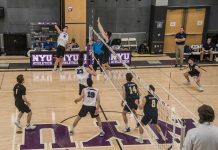 Peña set an NYU record with assists in a single season with 10, which also led the UAA. She also led NYU in points with 24. O’Keefe posted shutouts in about half of the games she started this season. Turner led NYU in goals for the season with eight. The women’s team went 10-6-3 for the season with a 5-1-1 record in UAA play which was good enough for a second-place finish.